It can be quite the challenge to find a beach in the Sunshine State that hasn’t already been discovered by hordes of tourists. If your main priority on a Florida vacation is privacy, however, then you should take down this name: Navarre Beach. Navarre is a small beach community located on the Florida panhandle close to the city of Pensacola. 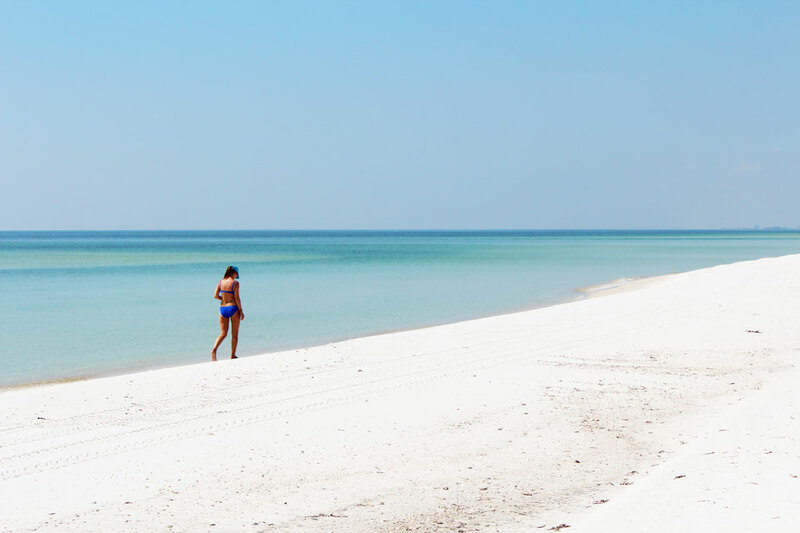 Here you’ll enjoy everything you’d expect from a white-sand Florida beach, minus the crowds. Anyone interested in visiting laid-back Navarre should give this article a quick read through. Below, we’ll explore the best Navarre Beach attractions and explain how to get there. The dozens of white-sand beaches in Navarre stretch for at least 12 miles and offer guests the standard amenities as well as picnic areas. Of course, the most popular beach in Navarre is its namesake Navarre Beach. The most popular thing to do on Navarre Beach is…to do nothing at all! Simply lay back, soak in the sun, and dip your toes in the blue-green waters. For those out there that want to be a bit more active on their Florida beach vacation, you’ll be glad to know Navarre Beach does offer plenty of boating tours and has a biking trail nearby. There is also a pier in Navarre Beach you can fish off of for only one dollar. Another beautiful beach to keep in mind while in Navarre is Opal Beach in the Gulf Island National Seashore. In case you’re too young to remember, Opal Beach was named after the 1995 Hurricane Opal that basically created the beach we enjoy today. Whatever beach you choose to visit, please remember not to bring any glass products with you. 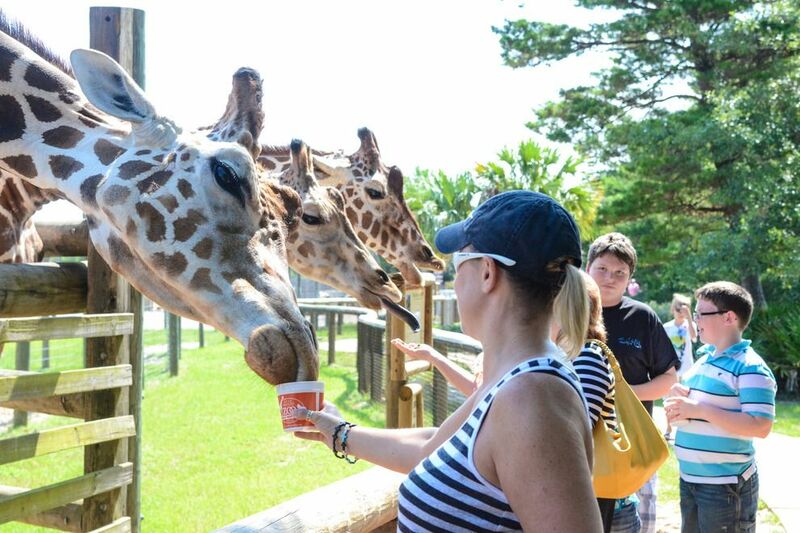 One of the best Navarre Beach attractions for people traveling with kids is the Gulf Breeze Zoo. Located at 5701 Gulf Breeze Parkway, the Gulf Breeze Zoo measures 50 acres and features a wide diversity of animals including zebras, oryx, camels, and kangaroos. There’s also a train station, boardwalk, petting area, llama feeding zone, and giraffe feeding area at this wonderful interactive zoo. Gulf Breeze Zoo is usually open between 9AM and 4PM, but check on their official website before you plan to visit Navarre Beach. Golfers won’t have any difficulties finding a place to tee off in Navarre. Undoubtedly, the most famous course in Navarre is The Club at Hidden Creek with its excellent scenery and professionally designed 18-hole course. Created by Ron Garl, this par 72 course measures an impressive 6,823 yards and welcomes golfers of all skill levels. After you’ve finished your game, be sure to stop by the Creekside Southern Grill for an unforgettable dining experience. If The Club at Hidden Creek doesn’t suit your fancy for whatever reason, perhaps you should look into Tiger Point Golf Club at 1255 Country Club Road in Gulf Breeze. This is another 18-hole course that offers both a 4,669-yard and a 7,054-yard game. Gulf Breeze is only a 30-minute drive from central Navarre Beach. Founded in 1997, the Panhandle Butterfly House has become one of the most popular Navarre Beach attractions in recent years. You’ll start your tour in a mini-museum area that has an extensive collection of butterflies. After you learn a bit about butterflies from all over the globe, you’ll get to meet some local butterflies and caterpillars in a superb habitat. Note, this habitat is only open between May and August due to the changing weather patterns in the greater Pensacola area. Although the main habitat isn’t open in October, the Panhandle Butterfly House hosts a “Monarch Madness” event to teach visitors about the Monarch butterfly migration. If you want to schedule a tour at Panhandle Butterfly House, please book your reservations at least ten days before you arrive. Anyone who wants to get up-close-and-personal with one of Florida’s most distinctive creatures must pay the Sea Turtle Conservation Center a visit. The staff here is committed to informing visitors about sea turtle conservation efforts and the overall health of Florida sea turtles. Throughout the year, the Sea Turtle Conservation Center hosts special events for children. Be sure to check their online calendar before visiting. The Sea Turtle Conservation Center one of the best Navarre Beach attractions for budding marine biologists. You’ll find this center at 8740 Gulf Boulevard. As you’re enjoying your trip around the many Navarre Beach attractions, take a few moments to pay your respects to fallen American heroes at the Navarre Black Hawk Memorial. Built in 2015 immediately after the devastating UH-60 Black Hawk crash near Navarre, this memorial serves as a poignant reminder of the sacrifices the US Air Force makes on our behalf every single day. You can find this inspiring memorial at 8543 Navarre Parkway. Once you’ve exhausted all the Navarre Beach attractions listed above, perhaps it’s time to visit nearby Pensacola. From Navarre Beach you’re only a 50-minute drive to central Pensacola and a 35-minute drive to Pensacola Beach. While Pensacola is the biggest city near Navarre, it doesn’t have the “big city” feel of an Orlando or Miami. Pensacola is probably better known for its exceptional fishing and boating opportunities than its attractions. The closest airport to Navarre Beach is (unsurprisingly) the Pensacola International Airport (IATA: PNS). While the smaller Destin-Fort Walton Beach Airport (IATA: VPS) is slightly closer to the Navarre Beach, most people traveling by plane will end up at PNS. Some of the major carriers that come into PNS include Delta, Southwest, and PSA. PNS is about a 45-minute drive from Navarre Beach. Start your drive on Bayou Boulevard towards E Cervantes Street for about four miles. Continue onto US-98 E towards FL-399 N for about 25 miles till your reach Navarre. The Florida panhandle is one of the least visited parts of the Sunshine State. While there aren’t as many attractions here, Navarre Beach and Pensacola are spectacular cities for a relaxing and secluded Florida beach experience. Hopefully this list has inspired you to take a trip to the panhandle next summer!